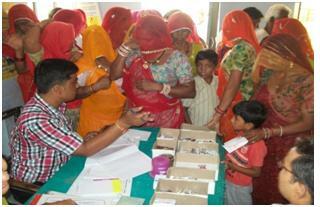 As an NGO, NYVAS has always kept public health and awareness as its high priority agenda. We have always tried to keep the public aware about social evils like child marriage dowry anti widow thoughts and contiguous Diseases time to time. 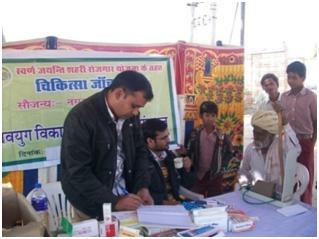 During camp free medical checkups were done of about 300 families and free medicine were distributed to them. In evening with help of skits and plays performed by local folk artists and puppet shows mass awareness campaigns were organized on current debatable topics like dowry, women harassment and illiteracy through puppetry shows and plays. NYVAS field staff and Volunteer of Anganwadi contacted BPL families and motivated to join medical camp and awareness campaigns. A group of about 50 students of special child school and other Govt. school participated in the camp and brought their grandparents with them. Thanks to these future social change agents. 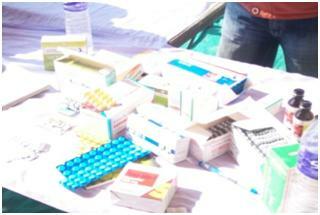 As an NGO, NYVAS has always kept public health on its top priority agenda. We have always tried to keep the public aware about contiguous Diseases time to time. During 2010-2011 Bikaner was in the grip of terror of swine flu. NYVAS team had volunteered a no. of awareness campaign specially in schools and mass gathering places. 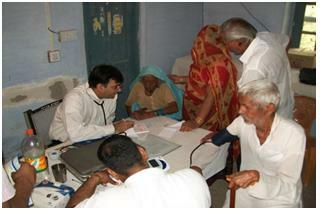 Another diseases went epidemic, in sep. 2010, at Bikaner and Lunkaransar block in Bikaner district was malaria-P V, CHMO, Bikaner, provided us the responsibility to check and control the spread of malaria by appointing the agency as malaria link volunteer (MLV) for Bikaner & Lunkaransar block for a period of about 3 months. In all 38 villages were at high risk, of them 35 from Bikaner block and 3 from Lunkaransar block. NYVAS took initiatives at all these places and perform following activities. a.	Inoculation of gambushia fish at stagnant water. b.	Spraying of DDT and other Insecticides. 3. Active Partnership in Implementation of DDC and FTD. 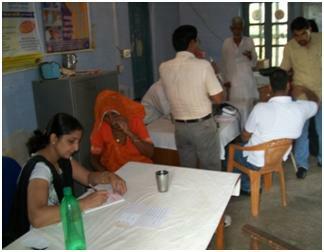 Under SJSRY six medical camps and six mass awareness camps were organized by NYVAS in the month of March 2011 after a one day exhaustive survey of deshnok NYVAS and deshnok nagar parishad located six sites for organizing these camps.